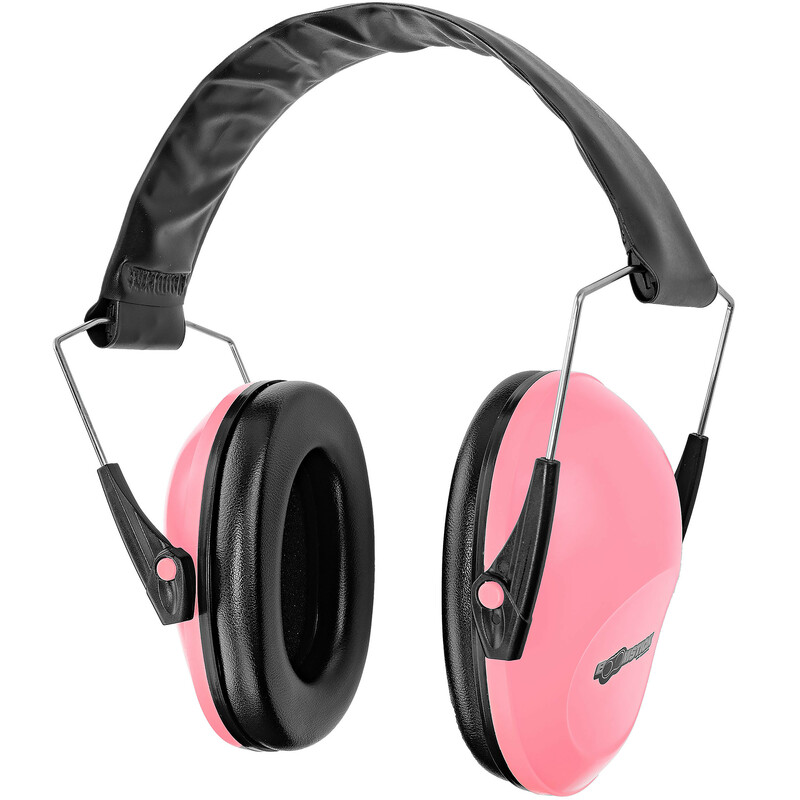 These Boomstick Gun Accessories brand earmuffs are great for the range or the job site! Both comfortable and durable, these ear muffs have a noise reduction rating of 22 dB to provide excellent hearing protection. These Boomstick Gun Accessories brand earmuffs are great for the range or the job site! Both comfortable and durable, these ear muffs have a noise reduction rating of 22 dB to provide excellent hearing protection. These low profile earmuffs are perfect for hunting, shooting sports, racing events, heavy equipment operation, construction worksites, manufacturing facilities, sawmills, mowing, or anywhere that hearing safety is vital. They feature a low profile design along with an adjustable headband and padded ear cushions, they offer all day style and comfort. Earmuff color is pink. Overall dimensions when folded for storage are 4.05" x 3.83" x 4.70".